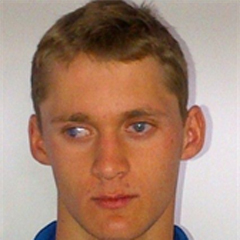 Cape Town - South Africa's Hendri Herbst qualified for the men's 400m freestyle S11 final at the London Paralympics on Friday. Herbst recorded the eighth and slowest time ahead of Friday evening's final - 5:08.87 - despite setting a new Africa record. American Bradley Snyder posted the quickest time of 4:33.70. The final is scheduled for 18:44 SA time.